Home › entertainment › Group of doctors line up on edge of pool, their viral reason will make your day. 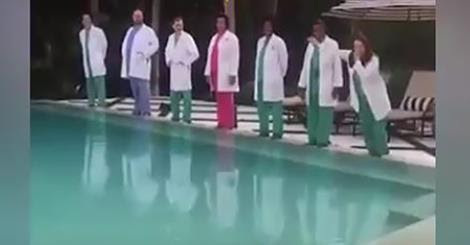 Group of doctors line up on edge of pool, their viral reason will make your day. When Bailey’s twins were born 6 weeks early, she was completely terrified. The mother from Florid had to wait anxiously as her treasures were taken to the neonatal intensive care unit (NICU). The units are typically run by neonatologists and staffed by nurses, nurse practitioners, pharmacists, physician assistants, resident physicians, respiratory therapists, and dietitians. All of them are undoubtedly dedicated to preserving and protecting the heath of these little ones. To raise awareness for babies with the same conditions are her own children, Bailey created #BellyFlopsForBabies. The project challenges different people to belly flop in pools, and anyone who doesn’t do a real flop has to donate money to the cause! It’s the best replica of the Ice Bucket Challenge that we’ve seen yet! And people throughout The U.S. are joining in! The trend has gone semi-viral and participants are having a blast making a difference. 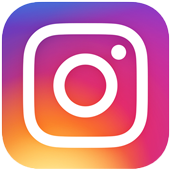 Their hope is to raise enough money and awareness to build an increasingly powerful support network for preemies and their families. This wonderful project could help thousands of babies, so share this video today!